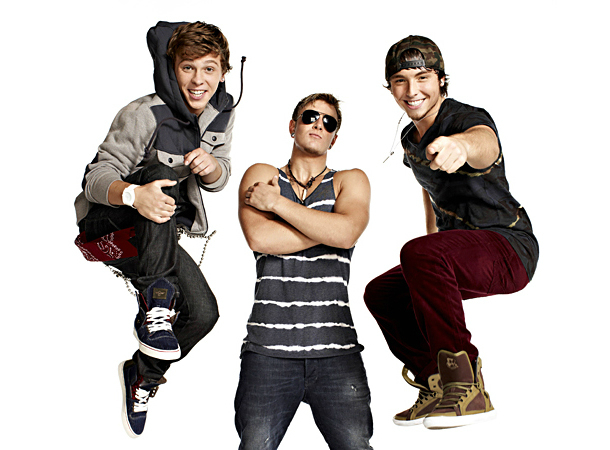 Emblem3 is the best X Factor group contender under Simon Cowell and is composed of brothers Keaton and Wesley Stromberg, and their honorary brother Drew Chadwick. So far, what do the other X Factor judges say about them? LA Reid confidently dubbed them as "America's next pop sensation". Britney Spears thought they were "amazing and adorable". Demi Lovato seems ready to throw off her pants for them, saying the "boys make [her] swoon". All these came to pass while Simon comfortably sat on his perch, sipping some imaginary refreshment. Simon must be smiling from ear to ear when the other judges, together with the audience, were lauding his "future superstars", knowing for a fact that he had a great chance of winning the show with this group. Maybe it's high time that The X Factor finds its first group winner in the grand finals. I am crossing my fingers for this. Hopefully Emblem3 makes its way through the whole contest until they are crowned the winner of The X Factor US Season 2. Is the group up for the challenge of making it to the grand finals and eventually be crowned as the next winner of the X Factor US? Share your thoughts. Updated: The moment of truth! Despite their effort to empress not only Demi, but the whole America as well, Emblem3 was eliminated on the Semi-Final round, leaving Tate Stevens, Carly Rose Sonenclar and Fifth Harmony to battle for the championship, which will be aired on December 20 and to be followed by the results night a day after.